Buyandship is a freight-forwarding service that helps you get items shipped overseas to you in an easier and more affordable way. The company, originating in Hong Kong, is now operating in Malaysia, Singapore, China, Macau, Japan and Taiwan. The growth of online shopping is one that has boomed considerably in the last few years, with many opting to do the bulk of their shopping online nowadays. Having previously lived overseas for a period of time, I admit that there are certain products that I miss having now that I’m back in Malaysia. But a quick search online reveals the astronomical prices of international shipping, with most preferring to find other alternatives. Some would go through the arduous task of waiting for friends who are based overseas to become de-facto shipping mules, but there’s a more convenient method that can be considered. Buyandship, a transshipment-oriented business, was founded in 2014 by Sheldon Li and his co-founders after returning from Canada to Hong Kong. With business expertise sharpened by his family’s long-standing business in logistics, Sheldon took advantage of a gap in the market—opining that the online shopping market in Hong Kong has a lot of room for growth. 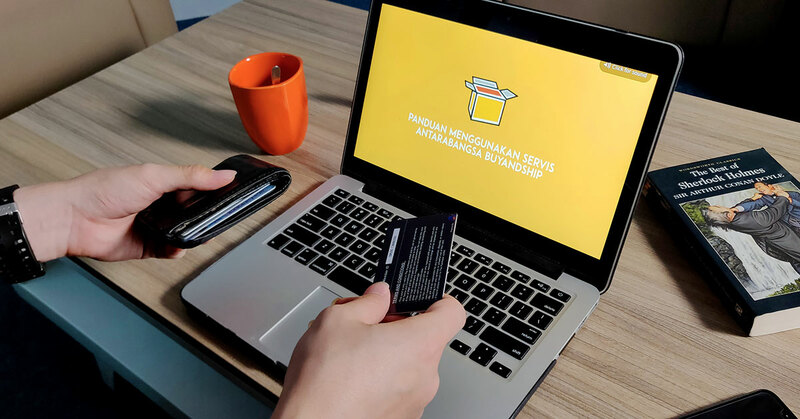 Now available in Malaysia, Buyandship is a freight-forwarding solution for many who want to shop for products overseas, with the concept of “borderless e-commerce” being championed. You can shop in 7 different countries, with warehouses available in US, UK, China, Hong Kong, Japan, Korea, and Taiwan. Dictionary Time: A freight forwarder is a company that organises shipments for goods to be delivered to a market or point of distribution. “We believe that buying things online should be easy and painless,” said a representative from the Buyandship team. The price is decently affordable due to the fact that international shipping is charged according to the actual weight of the items, as opposed to taking into account the dimensions and sizes of packages. 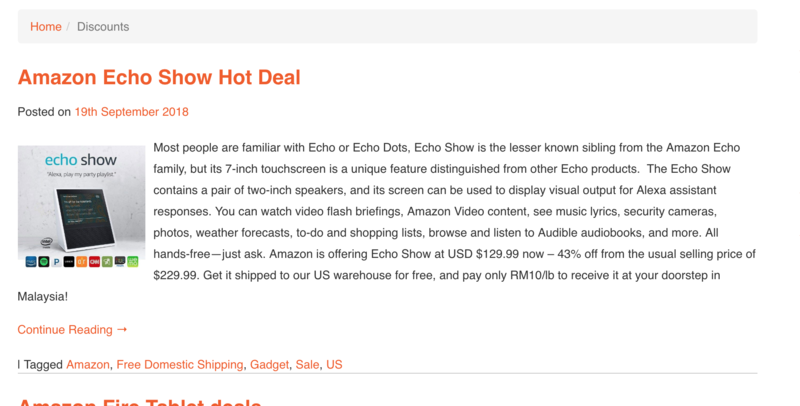 Interestingly, they also provide certain member-exclusive deals to provide further savings. Following the current trend of reward-based models, Buyandship is currently working with retailers in order to make member-exclusive deals available. This attempt at building rapport is also seen on their social media accounts, both on Facebook and Instagram, where members can keep up to date with any potential sales with retail-partners. Interestingly, there is even a page dedicated to discounts and deals from international vendors. 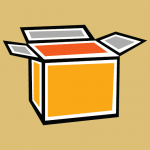 When looking to complete our shipment, I simply prompted a few of my colleagues with some of the suggestions given by the website—you’d be surprised how persuasive and tempting a dedicated discount page can be. 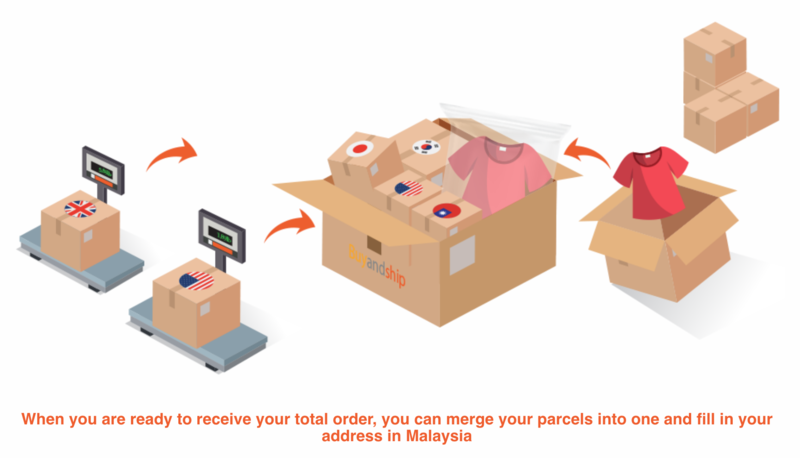 Having launched in Malaysia in April 2018, Buyandship currently have about 1,500 users locally, with that number expected to grow—the service is also available in other markets outside Malaysia and Hong Kong, namely Singapore, China, Macau and Taiwan. Worldwide, the number of members amounts to just under 200,000, with 1.34 million shipments having been completed since December 2014. The freight company is also looking to expand into other Asian markets including India, Vietnam, and the general SEA region as part of its series funding. All this done, of course, in the name of breaking down borders and pushing along the e-commerce bandwagon. My colleague had a hankering for a certain brand of chocolate which, unfortunately, was not available in Malaysia—the UK-based retailer did not appear to have the option to deliver the product to Malaysia either. So we decided to take Buyandship for a spin. The way Buyandship works, you enter the address of the warehouse that is in the corresponding country (UK, Japan, Korea, etc), as the delivery address with the original vendor. From then on, the shipment is delivered to a main warehouse in Hong Kong, before being delivered to your address in Malaysia. From the outset, what seemed to be a complex affair was easily navigated by simply following the instructions provided. After signing up on the Buyandship website, I was credited with 10 free credits that is equivalent to one pound(lb)’s worth of shipment. However, it was slightly unclear what the formula was in order to calculate how much (in weight) I could actually ship with 10 credits. I eventually managed to find out that the base rate was RM10 per pound (lbs) and RM1 = 1 credit, but retrieving the information required a bit of a comb through of the website. The team at Buyandship did tell us that the price per pound (lbs) will be increased to RM 15 sometime next month, so it’d be wise to do whatever shopping you may have planned, pronto. That said, the Delivery Fee Calculator, that also conveniently converted kgs to lbs, came in handy when estimating charges. Once I completed my order and the item was dispatched, I entered the tracking details into the Buyandship website. With the package declared, all I needed to do was simply wait for the shipment to be delivered to the Vulcan Post office. 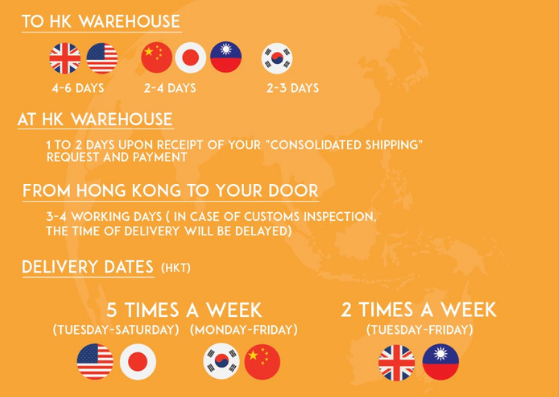 Note: You should declare your package before it reaches the oversea warehouse, in order for the package to be shipped to the HK collection point. One feature that came in handy was the ability to consolidate orders from different countries into one shipment from Hong Kong to Malaysia. Along with the chocolates, several of my colleagues chose to use our account with Buyandship to order items from other countries that were on the list. As the shipping charges were based off weight, I was given the option to consolidate the items into a single shipment at the Hong Kong warehouse, which was then sent to the Vulcan Post office. This actually helped reduce the shipping costs, which was incredibly useful for a group with varying interests like us. A big question that usually pops up whenever the words, “international” and “shipping” is coupled together, is how long is this going to take? It usually depends on where the item is ordered from, barring customs issues. As this was my first time using a freight-forwarding service, the experience of using Buyandship was one of unexpected ease. Despite my initial worry that things would prove to be complicated, the conveniently placed tutorials and general outlay of the platform was one that was very intuitive and user-friendly. The ability to consolidate packages from different countries into single shipments is probably the biggest pull for light-shoppers like me, as many international shipping couriers usually require a minimum spend/weight in order to get my shipments to me. Instead of having to deal with multiple international couriers, things were made pretty simple—as evidenced by the straightforward pricing scheme. Competitive pricing aside, e-commerce is something that is not going away anytime soon. With more and more of the retail market, be it vendors or customers, moving toward online shopping, borders are arguably the last barrier to true globalisation. And freight-forwarding solutions like Buyandship are vital in that respect. You can find out more about Buyandship on their website here. First-time users also get a bonus of 10 free credits when signing up. This article was written in collaboration with Buyandship.